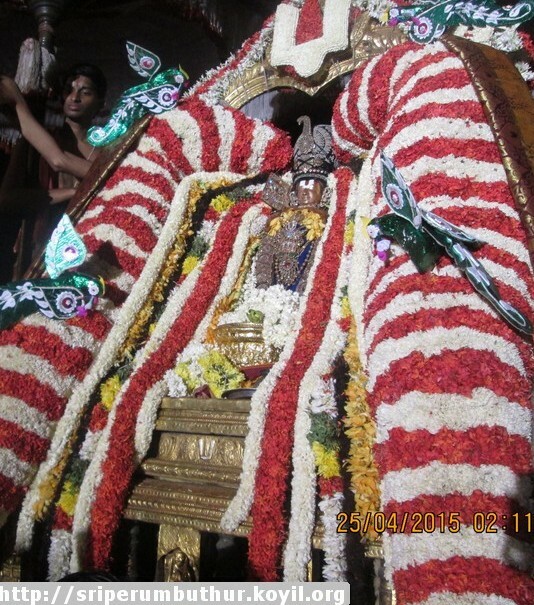 thiruppullANi – chithrai brahmOthsavam – day 5 (yesterday) – http://thiruppullani.koyil.org/?p=374. dhivya prabandham – thiruvAimozhi 1.2 – vIdumin – http://divyaprabandham.koyil.org/?p=2199 . Full series can be viewed at http://divyaprabandham.koyil.org/?page_id=23. 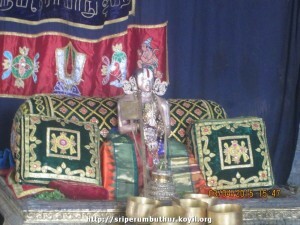 thiruppullANi – chithrai brahmOthsavam – day 4 (yesterday) – http://thiruppullani.koyil.org/?p=374. guruparamparai telugu – periyavAchchAn piLLai – life and glories in telugu – https://guruparamparaitelugu.wordpress.com/2015/04/27/periyavachan-pillai/ – new article by chudAmaNi ammangar based on http://guruparamparai.wordpress.com/2013/10/05/periyavachan-pillai/ – published by shashidhar swamy. Please visit https://guruparamparaitelugu.wordpress.com/2013/09/01/introduction-2/ to see the full list. 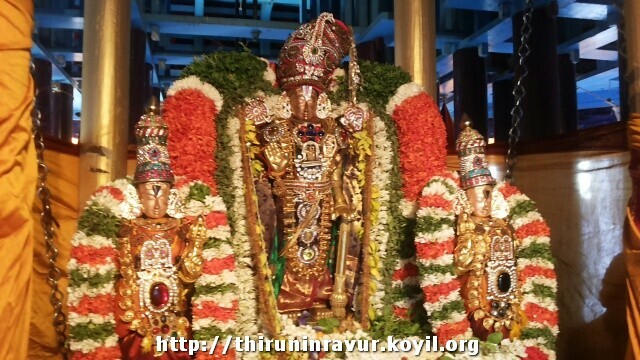 thiruppullANi – chithrai brahmOthsavam – day 3 (yesterday) – http://thiruppullani.koyil.org/?p=374. 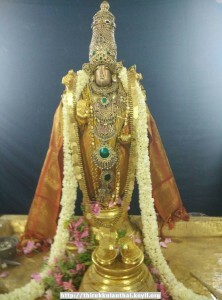 brahmOthsavam sEvAkAla kramam – https://drive.google.com/file/d/0ByVemcKfGLucWmRJeHY4RDR1SzQ/view?usp=sharing – Thanks to sundararAman swamy. guruparamparai hindi – kOyil komANdUr iLayavilli AchchAn (bAladhanvi guru) – life and glories in hindi – https://guruparamparaihindi.wordpress.com/2015/04/27/koil-komandur-ilayavilli-achan/ – new article by kEshava randad swamy based on http://guruparamparai.wordpress.com/2013/04/03/koil-komandur-ilayavilli-achan/ . Please visit https://guruparamparaihindi.wordpress.com/2013/08/29/introduction-2/ to see the full list. thiruppullANi – chithrai brahmOthsavam – day 2 (yesterday) – http://thiruppullani.koyil.org/?p=374 . 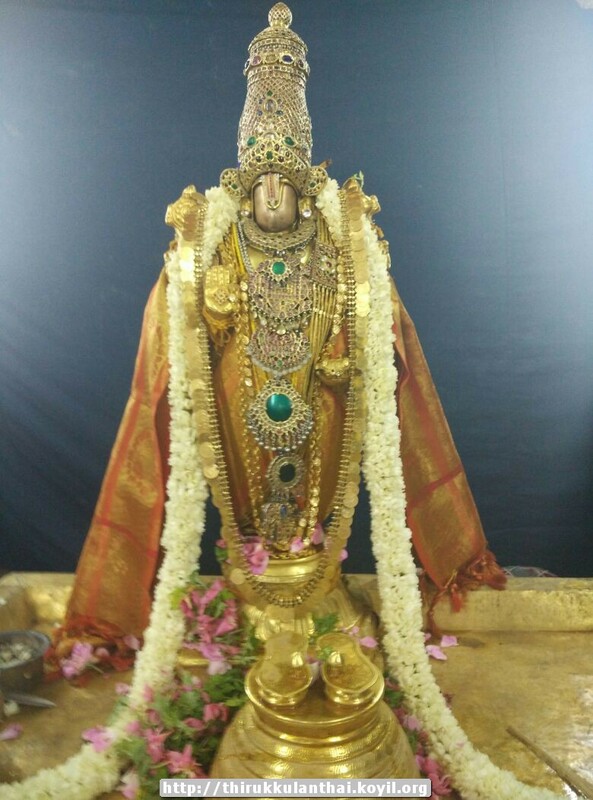 srI rAmAnuja anubhavam – emperumAnAr uthsavam completes. Let us recollect his glories through charmOpAya nirNayam. Please read “Appendix – Summary of Events” at http://ponnadi.blogspot.com/2012/12/charamopaya-nirnayam-summary-of-events.html . Full series at http://ponnadi.blogspot.in/p/charamopaya-nirnayam.html. This entry was posted in Uncategorized on April 25, 2015 by Sarathy Thothathri. srI rAmAnuja anubhavam – emperumAnAr uthsavam day 11 (today). Let us recollect his glories through charmOpAya nirNayam. Please read “Conclusion” at http://ponnadi.blogspot.com/2012/12/charamopaya-nirnayam-conclusion.html . Full series at http://ponnadi.blogspot.in/p/charamopaya-nirnayam.html . Same can be read in hindi at http://srivaishnavagranthamshindi.wordpress.com/2015/01/23/charamopaya-nirnayam-conclusion-html/ . srI rAmAnuja anubhavam – emperumAnAr uthsavam day 10 (today). Let us recollect his glories through charmOpAya nirNayam. 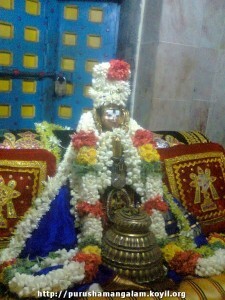 Please read “udayavar’s uththArakathvam – 3” at http://ponnadi.blogspot.com/2012/12/charamopaya-nirnayam-ramanujar-our-saviour-3.html . Full series at http://ponnadi.blogspot.in/p/charamopaya-nirnayam.html . Same can be read in hindi at https://srivaishnavagranthamshindi.wordpress.com/2015/01/23/charamopaya-nirnayam-ramanujar-our-saviour-3-html/ . guruparamparai hindi – mudhaliyANdAn (dhAsarathi) – life and glories in hindi – https://guruparamparaihindi.wordpress.com/2015/04/22/mudhaliyandan/ – new article by kEshava randad swamy based on http://guruparamparai.wordpress.com/2013/03/29/mudhaliyandan/ . Please visit https://guruparamparaihindi.wordpress.com/2013/08/29/introduction-2/ to see the full list. srI rAmAnuja anubhavam – emperumAnAr uthsavam day 9 (today). Let us recollect his glories through charmOpAya nirNayam. Please read “udayavar’s uththArakathvam – 2” at http://ponnadi.blogspot.com/2012/12/charamopaya-nirnayam-ramanujar-our-saviour-2.html . Full series at http://ponnadi.blogspot.in/p/charamopaya-nirnayam.html . Same can be read in hindi at https://srivaishnavagranthamshindi.wordpress.com/2014/12/19/charamopaya-nirnayam-ramanujar-our-saviour-2-html/ . 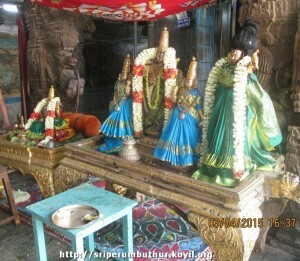 dhivya prabandham – thiruvezhukURRirukkai thaniyans – http://divyaprabandham.koyil.org/?p=2035 translated by raghurAm swamy. Full series can be viewed at http://divyaprabandham.koyil.org/?p=2030 . srI rAmAnuja anubhavam – emperumAnAr uthsavam day 8 (today). Let us recollect his glories through charmOpAya nirNayam. Please read “udayavar’s uththArakathvam – 1” at http://ponnadi.blogspot.com/2012/12/charamopaya-nirnayam-ramanujar-our-saviour-1.html . Full series at http://ponnadi.blogspot.in/p/charamopaya-nirnayam.html . Same can be read in hindi at https://srivaishnavagranthamshindi.wordpress.com/2014/12/14/charamopaya-nirnayam-ramanujar-our-saviour-1-html/ . srI rAmAnuja anubhavam – emperumAnAr uthsavam day 7 (today). Let us recollect his glories through charmOpAya nirNayam. Please read “emperumAnAr’s glories revealed” at http://ponnadi.blogspot.com/2012/12/charamopaya-nirnayam-ramanujars-glories.html . Full series at http://ponnadi.blogspot.in/p/charamopaya-nirnayam.html . Same can be read in hindi at https://srivaishnavagranthamshindi.wordpress.com/2014/11/23/charamopaya-nirnayam-ramanujars-glories/ . 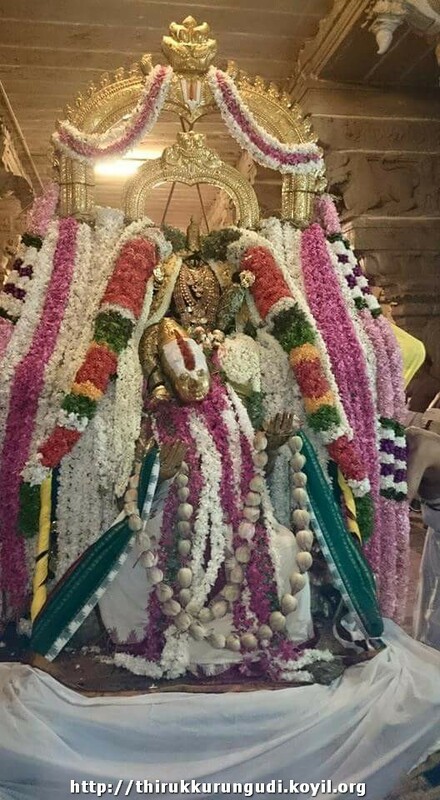 srI rAmAnuja anubhavam – emperumAnAr uthsavam day 6 (today). Let us recollect his glories through charmOpAya nirNayam. Please read “rAmAnujar’s avathAra rahasyam” at http://ponnadi.blogspot.in/2012/12/charamopaya-nirnayam-ramanujar-avathAra-rahasyam.html . Full series at http://ponnadi.blogspot.in/p/charamopaya-nirnayam.html . Same can be read in hindi at https://srivaishnavagranthamshindi.wordpress.com/2014/11/23/charamopaya-nirnayam-ramanujar-avathara-rahasyam/ . guruparamparai telugu – vEdha vyAsa bhattar – life and glories in telugu – https://guruparamparaitelugu.wordpress.com/2015/04/18/vedha-vyasa-bhattar/ – new article by shashidhar swamy based on http://guruparamparai.wordpress.com/2013/04/16/vedha-vyasa-bhattar/ . Please visit https://guruparamparaitelugu.wordpress.com/2013/09/01/introduction-2/ to see the full list. establish his uththArakathvam” at http://ponnadi.blogspot.in/2012/12/charamopaya-nirnayam-ramanujars-acharyas.html . Full series at http://ponnadi.blogspot.in/p/charamopaya-nirnayam.html . Same can be read in hindi at https://srivaishnavagranthamshindi.wordpress.com/2014/11/12/charamopaya-nirnayam-ramanujars-acharyas/ . dhivya prabandham – gyAna sAram – English – e-book link available at http://divyaprabandham.koyil.org/?p=86 and https://srivaishnavagranthams.wordpress.com/e-books/. Thanks to parAsaran (pradeep) swamy for preparing the e-book. srI rAmAnuja anubhavam – emperumAnAr uthsavam day 4 (today). Let us recollect his glories through charmOpAya nirNayam. Please read uththAraka AchAryas at http://ponnadi.blogspot.in/2012/12/charamopaya-nirnayam-uththaraka-acharyas.html . Full series at http://ponnadi.blogspot.in/p/charamopaya-nirnayam.html . Same can be read in hindi at https://srivaishnavagranthamshindi.wordpress.com/2014/10/31/charamopaya-nirnayam-uththaraka-acharyas/ . 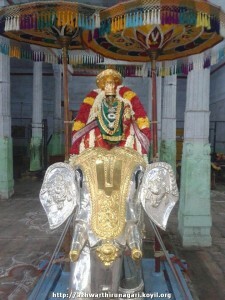 guru paramparai (hindi) – thirukkaNNamangai ANdAn – life and glories in hindi – https://guruparamparaihindi.wordpress.com/2015/04/14/thirukkannamangai-andan/ – new article by bhagavathi ammangar based on https://guruparamparai.wordpress.com/2014/07/13/thirukkannamangai-andan/ – published by karthik swamy. srI rAmAnuja anubhavam – emperumAnAr uthsavam day 3 (today). Let us recollect his glories through charmOpAya nirNayam. Please read thirumudi sambandham at http://ponnadi.blogspot.in/2012/12/charamopaya-nirnayam-thirumudi.html . Full series at http://ponnadi.blogspot.in/p/charamopaya-nirnayam.html . Same can be read in hindi at https://srivaishnavagranthamshindi.wordpress.com/2014/10/26/charamopaya-nirnayam-thirumudi/ . srI rAmAnuja anubhavam – emperumAnAr uthsavam day 2 (today) Let us recollect his glories through charmOpAya nirNayam. Please read invocation at http://ponnadi.blogspot.in/2012/12/charamopaya-nirnayam-invocation.html . Full series at http://ponnadi.blogspot.in/p/charamopaya-nirnayam.html . Same can be read in hindi at http://srivaishnavagranthamshindi.wordpress.com/2014/10/17/charamopaya-nirnayam-invocation/ . 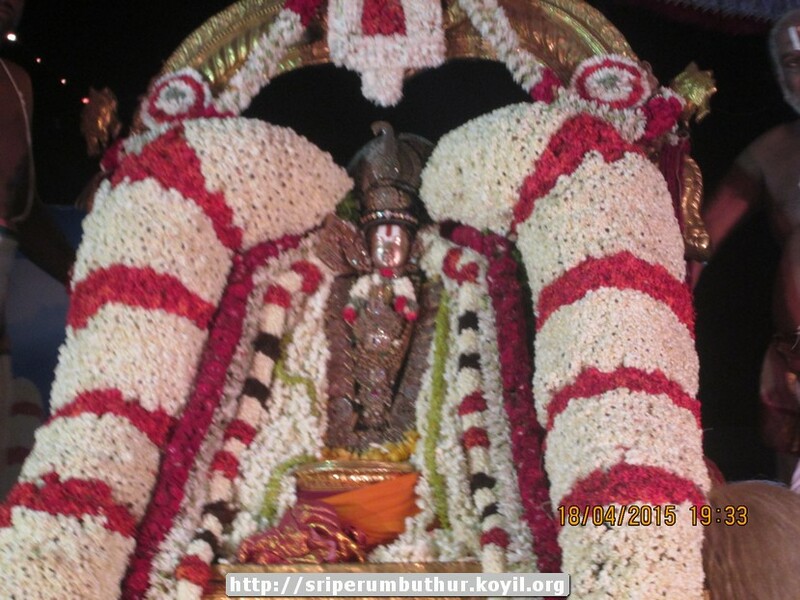 srI rAmAnuja anubhavam – emperumAnAr uthsavam starts today. Let us recollect his glories through charmOpAya nirNayam. Please read introduction at http://ponnadi.blogspot.in/2012/12/charamopaya-nirnayam-introduction.html . Full series at http://ponnadi.blogspot.in/p/charamopaya-nirnayam.html . Same can be read in hindi at http://srivaishnavagranthamshindi.wordpress.com/2014/10/13/charamopaya-nirnaya-introduction/ . guruparamparai telugu – eeyuNNi mAdhava perumAL – life and glories in telugu – https://guruparamparaitelugu.wordpress.com/2015/04/13/eeyunni-madhava-perumal/ – new article by chUdAmaNi chakravarthi ammangar based on http://guruparamparai.wordpress.com/2013/04/21/eeynni-madhava-perumal/ – published by raghuvamsi swamy. Please visit https://guruparamparaitelugu.wordpress.com/2013/09/01/introduction-2/ to see the full list. 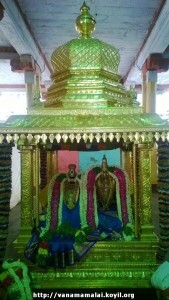 dhivya prabandham – thiruvAimozhi 1.1.11 – kara visumbu – http://divyaprabandham.koyil.org/?p=2174 . Full series can be viewed at http://divyaprabandham.koyil.org/?page_id=23. 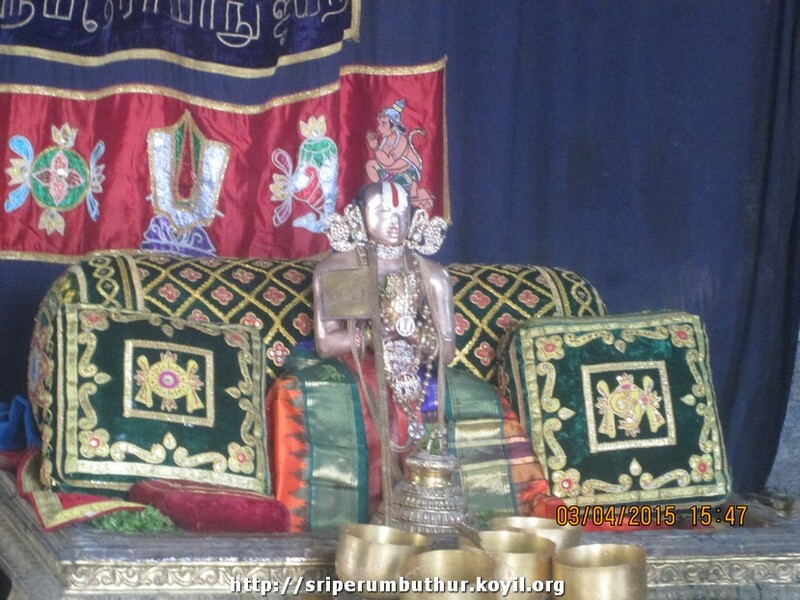 srIperumbUthUr – emperumAnAr (srI rAmAnuja) thiruvavathAra uthsavam – Apr 15th to April 25th – thadhIyArAdhanam and upanyAsams at srI vAnamAmalai mutt (http://vanamamalai.us) and embAr jIyar mutt (http://embarjiyarmutt.koyil.org). Request sishyas and abhimAnis to participate in the kainkarayams. dhivya prabandham – thiruvAimozhi 1.1.10 – parantha thaN paravai – http://divyaprabandham.koyil.org/?p=2165 . Full series can be viewed at http://divyaprabandham.koyil.org/?page_id=23. dhivya prabandham – thiruvAimozhi 1.1.9 – uLan enil uLan – http://divyaprabandham.koyil.org/?p=2151 . Full series can be viewed at http://divyaprabandham.koyil.org/?page_id=23. dhivya prabandham – Commencement of English translation for thirumangai AzhwAr‘s thiruvezhukURRirukkai – http://divyaprabandham.koyil.org/?p=2030. 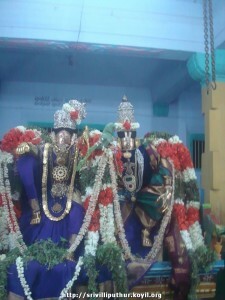 dhivya prabandham – thiruvAimozhi 1.1.8 – surar aRivaru nilai – http://divyaprabandham.koyil.org/?p=2124 . Full series can be viewed at http://divyaprabandham.koyil.org/?page_id=23. dhivya prabandham – thiruvAimozhi 1.1.7 – thidavisumbu erivaLi – http://divyaprabandham.koyil.org/?p=2110 . Full series can be viewed at http://divyaprabandham.koyil.org/?page_id=23. 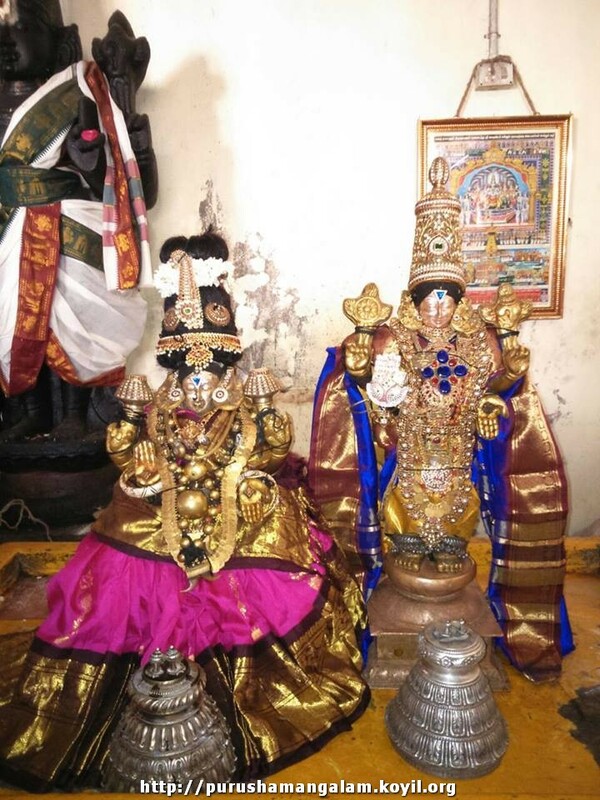 guruparamparai telugu – ananthAzhwAn – life and glories in telugu – https://guruparamparaitelugu.wordpress.com/2015/04/06/anathazhwan/ – new article by chUdAmaNi chakravarthi ammangar based on http://guruparamparai.wordpress.com/2013/03/31/ananthazhwan/ – published by shashidhar swamy. Please visit https://guruparamparaitelugu.wordpress.com/2013/09/01/introduction-2/ to see the full list. dhivya prabandham – thiruvAimozhi 1.1.6 – ninRanar irunthanar – http://divyaprabandham.koyil.org/?p=2063 . Full series can be viewed at http://divyaprabandham.koyil.org/?page_id=23. guruparamparai thamizh – sEnai mudhaliyAr (vishwaksEnar) – https://guruparamparaitamil.wordpress.com/2015/03/21/senai-mudhaliar/ – new article by vEnkatEsh swamy based on https://guruparamparai.wordpress.com/2012/08/18/senai-mudhaliar/ . Please visit https://guruparamparaitamil.wordpress.com/2015/03/14/introduction-2/ to see the full list. 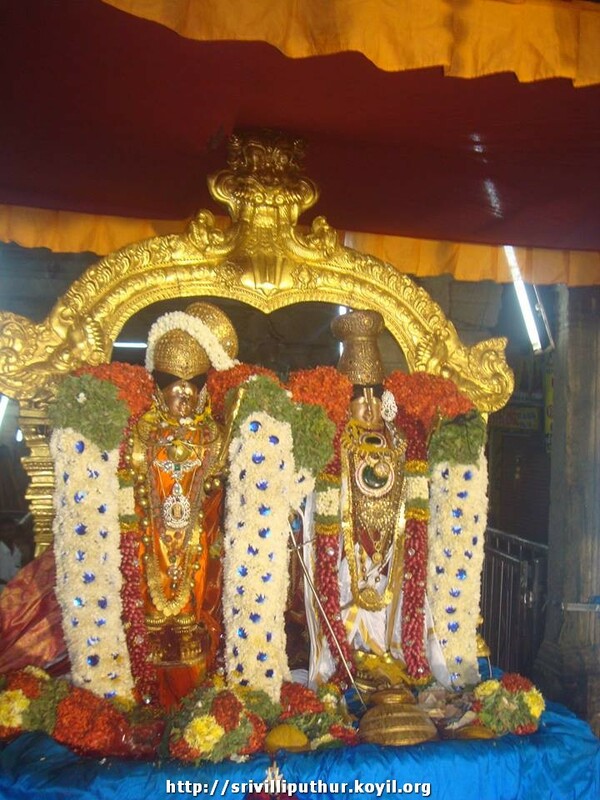 guruparamparai hindi – thirumAlai ANdAn (mAlAdhara) – life and glories in hindi – https://guruparamparaihindi.wordpress.com/2015/04/02/thirumalai-andan/ – new article by lakshmi narasimhan swamy based on https://guruparamparai.wordpress.com/2013/02/24/thirumalai-andan/ . Please visit https://guruparamparaihindi.wordpress.com/2013/08/29/introduction-2/ to see the full list. gyAna sAram (English) – 38th and 39th pAsurams published at http://divyaprabandham.koyil.org/?p=86. Thanks to sundharavaradhan swamy for publishing the same. gyAna sAram (thamizh) – 38th and 39th pAsurams published at http://divyaprabandham.koyil.org/?p=92. Thanks to sundharavaradhan swamy for publishing the same.